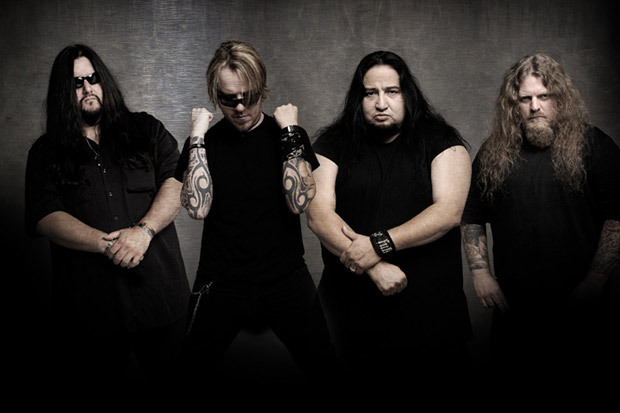 Fear Factory Guitarist Dino Cazares Working on New Industrial Project with Die Krupps and Leaether Strip – Cleopatra Records, Inc.
Dino Cazara, also known as the guitarist for Fear Factory, has been working on a new project with Die Krupps and Le?ther Strip. This follows Fear Factory?s 20th Anniversary Tour. I appreciate the fans that want to know what?s going on with the band but I?m sorry to say that there is no new news. In these two tweets, Cazares laid out his plans for music in the upcoming months, as he continues to work on a solo album, following Fear Factory?s Genexus.